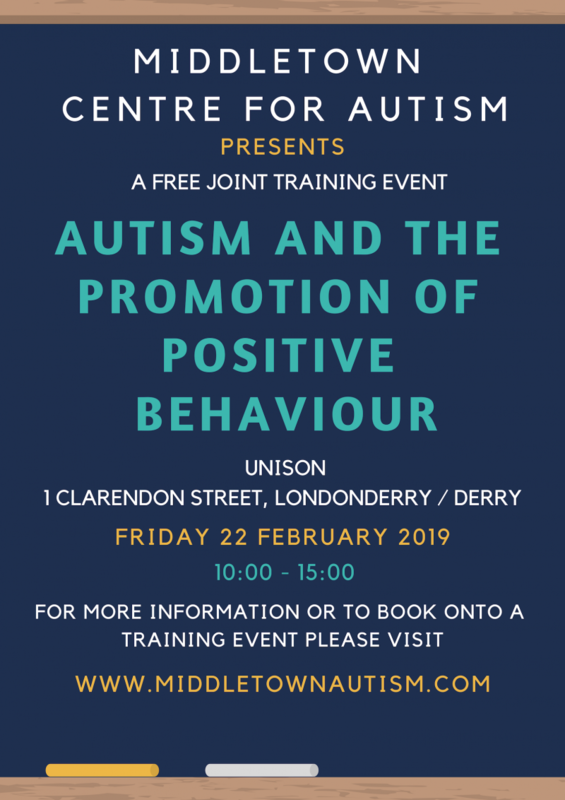 Middletown Centre for Autism presents Autism and the Promotion of Positive Behaviour in UNISON in their Derry / Londonderry offices on Friday 22 February. This is a Joint training event and welcomes both parents and professionals. For more information on this course please click here. For more information on this course please click here.